When you first hit a good number of downloads and subscribers with your podcast and you think about the next step in its life cycle every podcaster, successful or not, will tell you ads is the way to go. And why wouldn’t they give you that piece of advice? Advertisements are all around us. If you live in a city, you’d be lucky to walk five feet without happy smiling people staring down at you spruiking one product or another. It makes sense that when the idea of monetizing your podcast comes up, sponsorships appear to make the most sense. 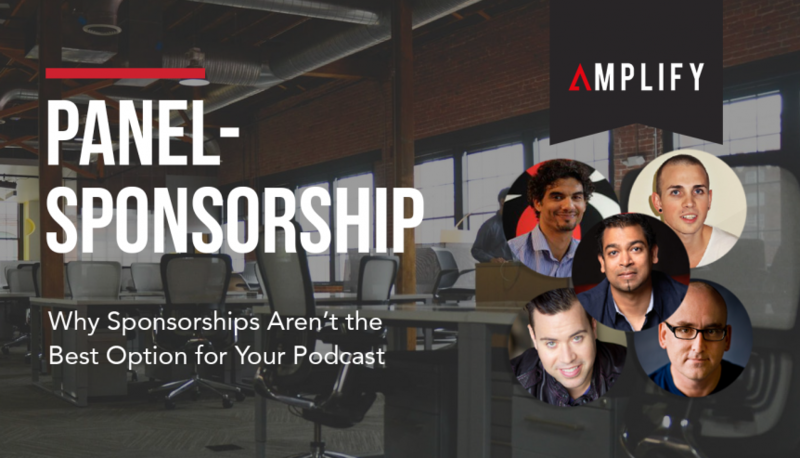 In actuality, sponsorships are one of the worst ways to make money off your podcast and here are couples reasons why that’s the case. Now, this isn’t true of every podcast; some have such a large audience that they don’t need to sell their podcast, sponsors are knocking down their doors. But the majority of podcast producers or at least for podcasters just starting out this isn’t the case. A level of salesmanship is necessary to secure good sponsorships and takes time away from creating high-quality content for your audience and forces you to figure out everything about how to sell it, when you may still be getting to know your audience while your podcast is still growing and changing. You're a podcaster, not a salesman, keep that in mind. Is It Worth Your Time & Effort? Making a high-quality podcast is hard work: Creating the content, booking the guests, editing, audio quality, etc. There are so many elements that have to be done well. Time and effort is money, so how much is chasing sponsorships worth to you? Because that’s a chunk of time you can’t get back, and is better spent working on your content which is what got you to this place to begin with. What do E-books, webinars, and other online products all have in common? Lots of things actually, but the big thing is profit. All these types of products given the right message and a large of enough audience can potentially make you a lot more money than a well-placed ad for underwear ever will. Not to mention that your products will ideally be more geared to your audience’s needs, so they’ll be happier to pay you for the offer as opposed to an ad they barely tolerate and would skip if they could. Few advertisers get back the money they paid for an ad. In the podcast space, the return on investment (ROI) can be so tiny it can make advertisers anxious. Small business advertisers often give podcasters a hard time if the announcement doesn’t increase the sales of their product. Here’s the thing, it's not your job as a podcaster to make advertisers happy, it's about creating high-quality content for your audience. So that’s not something that should concern you. On top of that, some advertisers will attempt to barter with you, to see just how cheap they can sell you the ad. They’ll even try offering you their product in exchange for airtime and not offer you any money at all! Monetising your podcast can be a great step in taking your show to the next level. However, your focus should be on addressing your audience’s needs and build products around those needs instead of dedicating time to sponsorships.